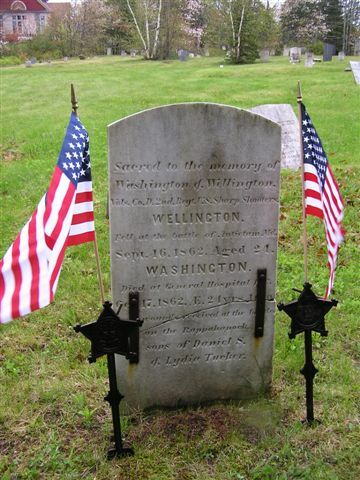 Legion Post 8 can help you get a veterans grave marker at no expenses to the family. 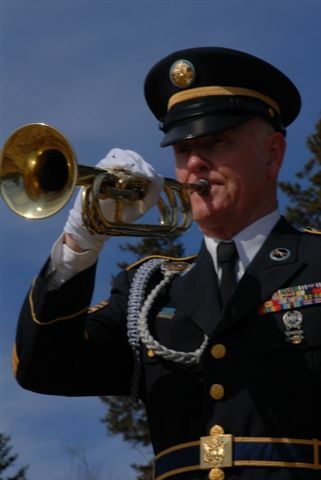 Usually the funeral home handling a veterans final arrangements will take care of the cemetery marker but with “direct” cremations, the family may have to do it themselves. Contact our Adjutant or Service Officer for assistance! Further on below is a story about one such cemetery stone request that inspired a village and a Canadian Province to better recognized their veterans. Free to download for your personal research are two documents compiled by Peter Duston, Adjutant of Post No. 8. The first is a location guide to help researchers locate Cherryfield area cemeteries. The second is a current list of Cherryfield area veterans cemetery markers. Right click the link to each file and select the option “Save Link As…” Save the PDF to a location on your computer, and then open it at your convenience using Adobe Reader. 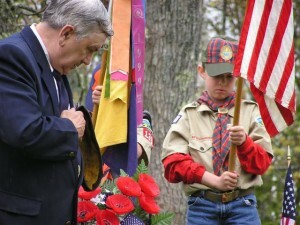 Webelos Scout Jordan Perry dips the Flag as the chaplain offers a prayer at the Memorial Day observance. Commander Doug Dowling bows his head! We stood on the steps of the old Post Office in Machias, Maine; me the Executive Director of the county Community Action Agency, headquartered in that building and he, a board member and WWII veteran. I knew that Oscar was a survivor of the Bataan Death March but no details, he never talked about that part of his life. I had just repaired and painted the old government flag pole and hung a halyard with a publicity plan to put up a Flag, first flag in many years over Main Street. I thought that Oscar as a respected local veteran and lobster fisherman, might be interested in raising the Flag as part of the ceremony so I asked. We don’t always know where a decision we make or an action we take may lead. Often, it’s of little apparent importance but other times, it may have a profound impact on a historic event. The atmosphere changed for the New Brunswick Indian veterans. The following year on Remembrance Day, the Provincial Governor dedicated the Eel Ground Veterans Monument with a large multicultural and diverse assemblage. The “Forgotten” native warriors were being remembered, finally. Sometimes, we never know when a comradely act of brotherhood can change the world. Thank you, Joe, Mariner and others who did the right thing at the right time. You helped change history.